Want to show Google that you don’t approve of its tax-avoidance tactics? From its humble beginnings as a project at Stanford University, the company has grown into one which has become almost unavoidable online – and in some cases offline, as it also owns the loss-making Motorola Mobility mobile phone maker. So how do you go about avoiding Google? This is the big one, of course. Most people in Europe who are online use Google every day at some point; it has more than 90% of the search market (notably because it offers multilingual support). 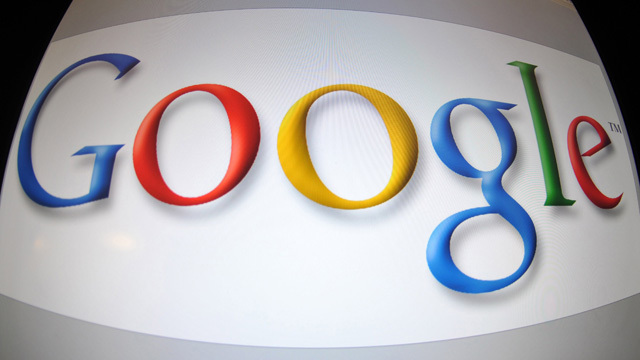 The adverts that appear around Google searches and on other pages generate about 95% of Google’s entire revenues. So if you avoid those, then you are – in your own small way – striking a blow against tax avoidance. What are the alternatives? Once you start trying them, my experience is that search is actually more of a commodity than you might think. DuckDuckGo.com offers (in my experience) search results that are just as good as Google’s, and often less full of spam. I’ve personally used it as my principal search engine for more than a year, initially as an experiment and then simply because it was effective. It’s ethical – it’s too small a company yet to have gone for any tax avoidance methods that I’m aware of – and doesn’t try to track you online. Microsoft‘s Bing is reckoned by some to be almost as good as Google, though it frequently doesn’t do as well in blind tests. Note that Microsoft, like Google, seems to use clever accounting to minimise its tax bill, so if you’re avoiding Google for that reason, you might want to ponder that one. Blekko is an up-and-coming search engine which offers a Google-like simplicity but also allows you to search by various categories (you add a category after your search – say “Lance Armstrong /tech” and it will search only within a subcategory of results. Wolframalpha is less of a generalised search engine, and more of an academic reference system, but it is very effective for historical data (such as stock prices) – which you might have found before with Google’s “custom search” tools. Google’s Chrome is one of the most-used browsers in the world. Sorry – it’s ruled out if you’re going to boycott Google. Firefox and Internet Explorer are very good alternatives. Don’t forget to change the default search engine; Firefox’s use of Google as its default is part of a billion-dollar deal: after an earlier deal expired in 2011, Microsoft bid to be the default – pushing up the price dramatically. The Mozilla Foundation (which controls Firefox) gets the money; Google gets the eyeball. YouTube is gigantic – no question about it. Would people in the west have heard of Gangnam Style and Psy without it? But it’s not the only fish in the video sea. Vimeo offers a broad range of content, often from professional videographers, and it is presented in a way that looks fabulous – its HD quality really comes across on a good screen. is the Yahoo subsidiary’s short video site. With Marissa Mayer in charge, Yahoo is heading upwards. Might Flickr Video be the way forward? If you’re just feeling like watching stuff, Yahoo Screen offers all sorts of professional content – mostly from US news channels. On smartphones, there’s Twitter’s own Vine – which doesn’t have a “desktop” web presence, but has to be experienced through the mobile app. Videos are limited to six seconds, which means you’ll never got bored. Google is good at maps; it’s been working on them for years. The question of which map system you use as an alternative depends on whether you’re using a desktop or mobile; if the latter, which platform. For desktop, there are many choices. But if ethics is top, Nokia – the Finnish mobile company – might be your preference. It doesn’t resort to any tax tricks that we’re aware of, and makes strenuous efforts to be green in everything it does. Here Maps are Nokia’s branded maps. Viewed on a desktop, they look very like Ordnance Survey; it’s less brash and bright than Google’s colouring. There’s also an entertaining 3D view version which has many world cities which you can swoop and zoom around. It also offers directions, local products, and so on. For smartphones, you can download different mapping apps. If you’re using an iPhone 4 or newer, then upgrading to iOS 6 (which comes preinstalled in phones sold since September) means Apple’s maps are the default – not Google’s. You can download other mapping apps, including Nokia’s. On an Android smartphone, you can’t delete Google’s Maps app, and Nokia’s Here app – which is available for the iPhone – doesn’t seem to be in the Play Store. But you can use Here.com in the Android browser. If you’re serious about ethics here, then your next smartphone can’t be an Android one – those use Google’s software (some of it written here in the UK, despite Google’s protestations that the staff here aren’t specialists). That rules out brands such as Samsung and HTC. Arguably, as Apple also uses complex tax arrangements, you shouldn’t consider an iPhone either. Buying a Motorola phone won’t help (even though it makes a loss) because Google writes off the losses on Motorola against its tax bill in the US – so you’d actually be helping reduce its tax payments. That only leaves a BlackBerry phone or Nokia Lumia as your choices. The Lumia uses Microsoft’s Windows Phone software; we’re not aware of what tax reporting BlacKberry does. You could always toss a coin to make your choice. Google’s Gmail service, launched in 2004, has grown to become one of the world’s largest such services, with around 450 million users. No surprise, given that it offers multiple gigabytes of free storage and easy searching. However, those aren’t unique selling points any more. And some find its (machine-generated) advertising unsettling. Microsoft (again) offers Outlook.com, which is its remodelled Hotmail, which offers 7GB of free storage on Microsoft’s SkyDrive system. Fastmail.fm is paid-for email – costing about £3 per year – which has no advertising and very good spam protection. If you have a Gmail account, then you also have access to Google Drive, which offers document storage – and the potential for multiple people to edit documents or spreadsheets simultaneously in real time. It turns out that Google is far from alone in offering this. There’s a list on Wikipedia of collaborative real-time text-editing software with 13 desktop applications and 27 web-based ones. You can probably find one that will do the same job as Google Docs out of those. If you use Blogspot (aka Blogger), which is Google-owned, you’ll have to look somewhere else. Tumblr lets you set up blogs for free, and is one of the fastest-growing networks anywhere. It’s US-based, but not yet generating enough revenue to interest the UK tax authorities; in fact it’s unclear whether it generates any revenue here at all. This is slightly more tricky, from an ethics and tax standpoint, than it seems. Twitter and Facebook both seem to be setting up the same sort of revenue-routing through Ireland that has UK taxation experts fuming. But there is the Twitter-like app.net, which is a paid-for ad-free social network based in the US, which many think feels like an early version of Twitter. As for the bigger social network experience – well, there’s always MySpace. News Corporation sold it a couple of years ago. Do you have more suggestions for alternative services in search, video, email or others? Let us know in the comments.